We like to keep the Provocation short so that they can capture the attention of our internet viewers (500-700 words please). Ideally, the Provocations should pose more question than they answer in order to stimulate thought and debate. Please following the formatting and bibliography style used in previous Provocations. Also, think about an image you would like to accompany your piece. If you can’t find/think of one we can help with this. The International Journal of Performance Arts and Digital Media is seeking contributions for a special issue on Performance and VR Practice. Virtual Reality technologies have a long and established history. As Oliver Grau recognizes in his seminal text Virtual Art: From Illusion to Immersion (2003), “the idea of installing an observer in a hermetically closed-off image space of illusion did not make its first appearance with the technical invention of computerised virtual realities. On the contrary, VR forms part of the core of the relationship of humans to images” (Grau, 2003: 4-5). Such is our fascination with creating “illusionary spaces” (ibid. ), it is understandable that artists and technologist have spent the last few decades exploring how technologies, such as VR, can enable us to extend beyond our own reality towards immersive and illusionary theatrical experiences. Since the 1980’s, when VR was first used in a performative context, beyond its application in industry, artists and scholars have continued to challenge notions of what is ‘real’ and what is ‘virtual’; they have challenged concepts of transcendence, simulation, immersion, materiality, alternate realities, hybrid or mixed realities to name but a few. The use of VR has therefore been important for opening up perspectives and for developing new performance paradigms. Yet, whilst the use of VR over the last three decades has been focused and rigorous, it has not been as widely adopted as other technological tools (such as gesture/motion-sensing systems or live video and projection mapping systems) have been. This is largely due to practical concerns and the availability of such a complex technology. However, over the last few years, VR technologies have made a reemergence, not only in terms of affordability, but because the continued advances in design and usability are making it increasingly possible for artists to access and explore its potential. In 2017, Sony released the Play Station VR headset, enabling high quality VR technologies to be accessed at home. Google cardboard and other VR -goggles enable users to access VR content through their smartphone and 360 streaming is available on Youtube. In response to this, a greater number of performance practitioners have begun to explore how such VR technologies can be used. For instance, 2017 has a seen the premier of a number of new examples of VR performance work, some made by independent artists and others by established organisations including AoE’s Whist, Boleslavsky? and Júdoká’s Dust (supported by Rambert/V&A), Makropol & Bombina’s The Shared Individual and a new VR film by the English National Ballet, inspired by Akram Khan’s Giselle. As its use continues to increase, this special issue wishes to examine how, and in what ways, VR is continuing to have an impact on current performance works. For example, some artists are using VR technologies to reimagine existing performance work, others to offer new perspectives on performance making, and others who are exploring new relationships with their audiences. This raises a number of interesting and timely questions relating to the impact and influence of VR technologies on creative processes and the nature of the work made – In what ways are current VR technologies helping artists to re-imagine their practice? What new work is being created and is this having an impact on professional performance practice? In what ways have current VR technologies and practices extended concepts such as, transcendence, simulation, immersion, materiality, alternate realities etc? How might the use of VR technologies open up new models and/or possibilities for collaboration between artists and technologists? What new performance environments are being created within VR and how might this change how audiences access and engage with professional performance? How can VR enable audiences to engage with performance work in new ways, both collectively and individually? What can VR offer professional performance practice that a traditional ‘live’ experience cannot? What can we learn from emerging VR practice across other sectors to inform and extend professional performance practice as a whole? Essays should be formatted according to the Routledge journal style. Please contact Sophy Smith at <ssmith05@dmu.ac.uk<mailto:ssmith05@dmu.ac.uk>> and/or Kerry Francksen at <kerryfk1@hotmail.co.uk<mailto:kerryfk1@hotmail.co.uk>> if you have any queries. Guest Editors: Prof. Sophy Smith and Dr Kerry Francksen, Directors of DAPPER (Digital Arts Performance Practice – Emerging Research), De Montfort University. DAPPER is a space where people working in all areas of digital performance can come together – practitioners, technologists, academics, organisations and all those in-between – to capture, share, discuss, experiment and develop work and ideas relating to digital art and performance. It is our contention that whilst many individuals work within their own specialist area or sector, innovation occurs when we have the opportunity to collaborate and cooperate with others. Digital art performance practices are emerging as a response to a fast moving technological landscape and as artists adapt to these new paradigms it is clear that digital practices are having a profound effect on the ways in which we make and understand our work. DAPPER aims to provide a space to focus on and interrogate the range of inter/transdisciplinary approaches specifically from the perspective of artistic process and practice. DAPPER runs Knowledge Exchange and Professional Practice events. In 2017-8 these have included practice-based digital performance residencies at Waterman’s Arts Centre as part of Digital Weekender and De Montfort University, offering spaces for experimentation and dialogue for professional practitioners in open creative space, and 2 cross-sector development events, exploring the practices of narrative development in virtual environments and sharing of current practices. This symposium explores the ways in which depth imagery is constructed and consumed in contemporary digital practices, and the ways in which we might interpret it. Most digital platforms’ content is consumed through flat screens and yet many of their aesthetics seem anxious to convey the illusion of depth. This curious and ubiquitous paradox is visible, for example, in digital cinema’s most recent spate of 3-D films and the institutional dimensionality of videogames’ fictional environments through which the player wanders. In computing, also, user interfaces and head-up displays demonstrate a renegotiated relationship to the image that is dependent on deep spaces made immediately accessible for spectators and users. This symposium will investigate the different media that characterise contemporary culture and the aesthetic, cultural and political implications of their digital depth. How is this illusion of depth constructed, and to what ends? The symposium will investigate avenues through which academia might read and interpret both these images and the changing mediascape of which they are a part. It will also ask what these digital constructions of depth demonstrate about the changing culture that they help to construct. Please send abstracts (max 200 words), and a brief biographical note to Dr. Owen Weetch (o.b.weetch@warwick.ac.uk) by FRIDAY 28th MARCH, 2014. Decisions will be announced in early April. For more information, please visit the symposium’s blog, which can be found at thedigitalindepth.wordpress.com, or follow us on twitter @digitalindepth. content that may inform the field. * How are writers inviting audiences to become immersed in story or the mise-en-scène? * What cinematographic techniques are being pioneered to draw us into the frame? * Can pre-visualisation tools amplify what immersive experiences we can construct? * Are we now developing an aesthetic that is particular to stereoscopic media? * Does the convergence of film and gaming offer opportunities to draw the audience more effectively into augmented gaming worlds? affiliation, and provide a one-paragraph biography. Accepted papers/presentations will receive a conference fee waiver. 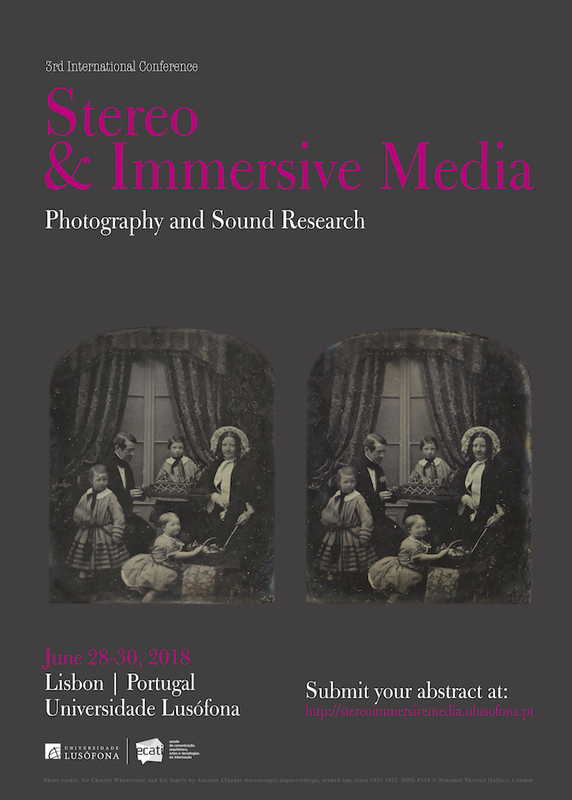 Ravensbourne and the i3DS Society, have great pleasure in calling for papers for the third international conference on stereoscopic film and television. On June 21 1838 the Royal Society published Charles Wheatstone’s paper on 3D Stereoscopy, Contributions to the Physiology of Vision. The eminent Professor of Experimental Philosophy at Kings College London laid out principles of stereoscopy and later invented the stereoscope. The stereoscopic technique has therefore existed for over 150 years, but what level of maturity has it reached? Can 3DS be considered to have reached maturity? Who decides what creative or technical ‘maturity’ means? What is the possibility of setting worldwide technical standards and creative guidelines for stereoscopic film, television and other related content? It could be argued that the releasing of 2D to 3D conversions is having a degenerative effect on the maturation of the craft of stereoscopic 3DS. The need to generate revenue through ‘brand 3D’ may be altering the perception of 3DS from audience perspectives. Should we therefore now define what is and what is not ‘true’ stereoscopy? What is next after the commodification of 3DS, for example 4K 3DS? We will be accepting around 15 papers or presentations on the topics above, which can include investigations into stereoscopic animation or gaming if the study contributes to the conference theme. However ALL acceptable research from practitioners interested in stereoscopic 3D can have a place through the exhibition of a poster outlining your work. Attendees will also be able to contribute to a workshop, which will map research being generated in this field, worldwide. Papers, posters, or expressions of interest in mapping 3DS Research should be sent in the form of abstracts to lizzie.jackson@rave.ac.uk by Monday 4th February 2013. The most recent revival of stereoscopic 3D (S3D) moving images, from cinema and television to video games and cell phone applications, signifies a new development in global screen cultures and media technologies. As the stereoscopic technology becomes more available and more studio productions are scheduled for release in S3D format, scholars, artists and industry professionals require a common language for discussing the aesthetics and industry of S3D that goes beyond the current largely technical terminology. Moreover, independent S3D works of art require careful examination in the context of the most recent resurgence of the medium within the mainstream mediascapes. This special issue of PUBLIC will critically analyze the dynamics and significance of the current, past and future developments of S3D. 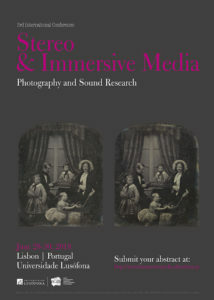 The essays in this issue will explore the aesthetic, economic and cultural implications of using stereoscopic images in the context of contemporary art, media and technology. Interdisciplinary perspectives and artists’ projects are welcome. PUBLIC gratefully acknowledges the support of the Canada Council for the Arts, the Ontario Arts Council, and York University. Industry Conference with a two-day research tract. importance rather than distance from the viewer. stereoscopic media. We will schedule themed panels in response to the call. abstract to: Lizzie Jackson, lizzie.jackson@rave.ac.uk. © 2012 Stereoscopic Media. All Rights Reserved.